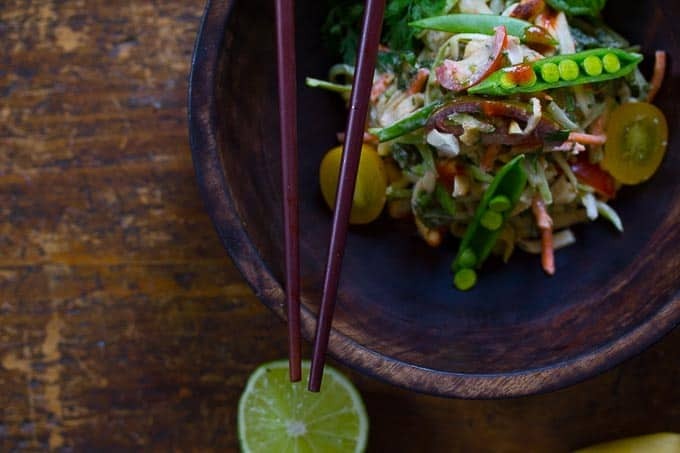 This raw vegan Pad Thai has fresh, vibrant flavors of lime, ginger and lemongrass that come alive with the addition of farm fresh vegetables and herbs. 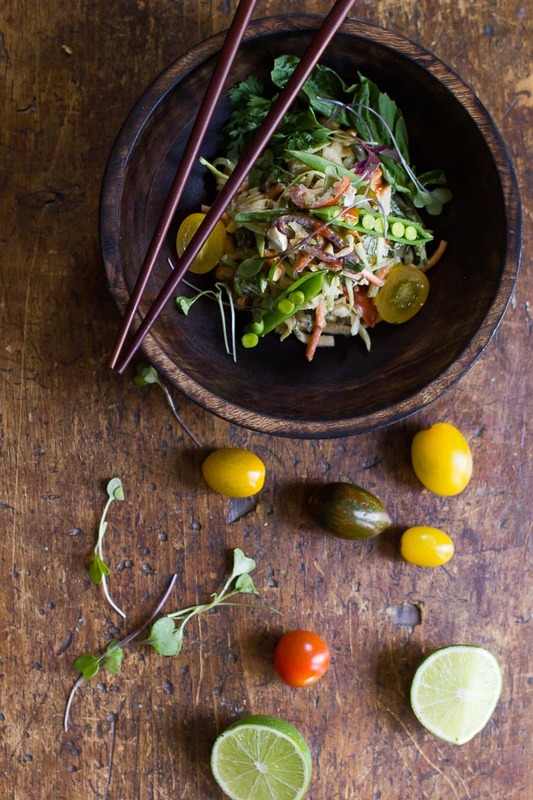 Noodles made from summer squash and green cabbage give a lightness and healthy twist to this popular Thai dish. You have to try this delicious sauce! It would also be delicious with rice noodles or kelp noodles as well. 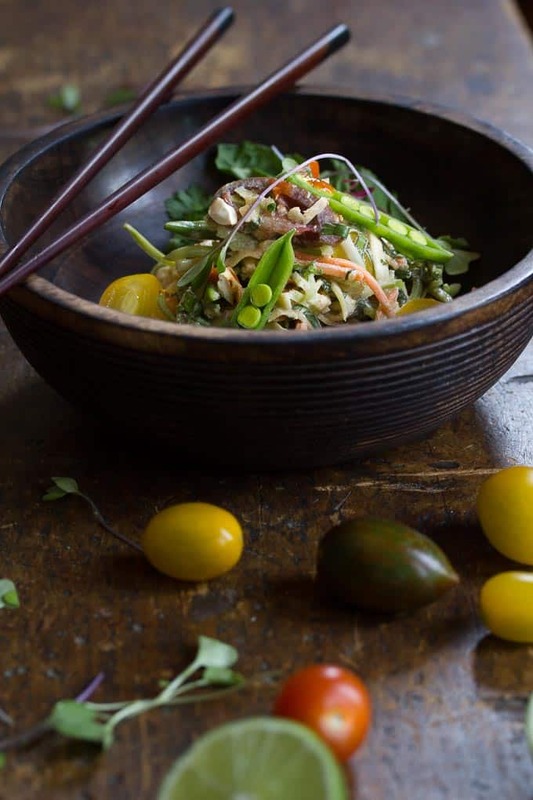 This is one of the recipes available on our weekly meal plans at Zen Kitchen! Raw vegan Pad Thai with a light & healthy summer squash noodles, in a creamy almond based sauce with hints of lime, lemongrass and ginger. Process all sauce ingredients together in a blender until smooth. Keep refrigerated until ready to use. Mix the summer squash noodles and cabbage in a bowl. Add the pad thai sauce and toss some more. Taste and add more salt and pepper if desired. Add the hot sauce if you’d like. 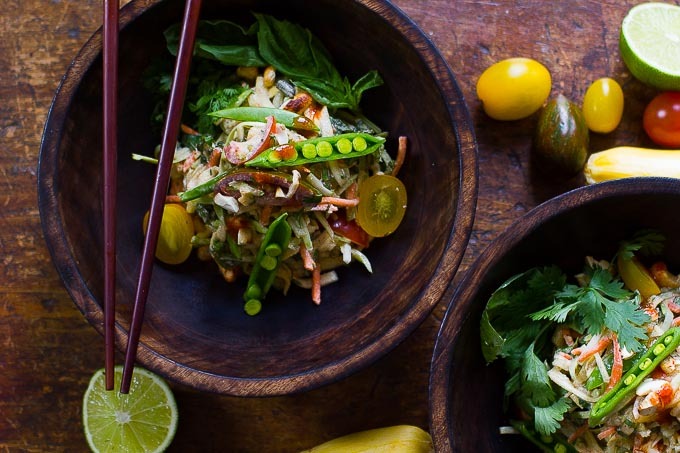 Garnish each bowl with the snow peas, bean sprouts, basil, cilantro and chopped avocado. Serve with a fresh lime wedge on the side.